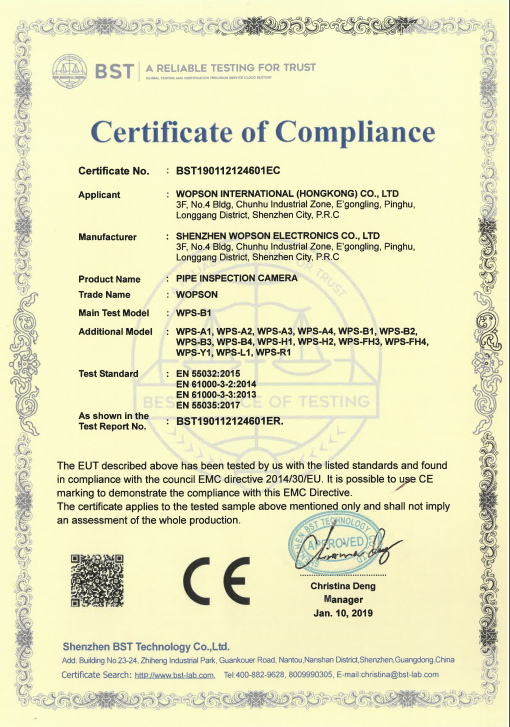 China Portable Mini Cable Tray Inspection Camera Parts supplier - high quality Pipe Sewer Drain inspection camera Handheld series for sales, Pipe Sewer Drain inspection camera Handheld series manufacturer. Adjustable LED lighting, stainless steel spring can make the camera flexible shuttle in a variety of pipelines. D25 camera, with 30m, 60m M2 type cable disk, testing the diameter of 40-100mm. D34 camera, with 30m, 60m, 120m cable disk with the test diameter of 50-300mm. D46 camera, with 60m, 120m C-type cable disk with the test diameter of 60-300mm. Built-in launch probes, 512Hz and 640Hz two frequencies, suitable for iron pipe detection. VCam-5 has two kinds of cable tray, which can be flexibly chosen by users. C-Type cable tray: Standard cable tray, stainless steel frame, round line drum with wheels and hanging handle, easy to move. The standard cable length is 60m and can be extended to 120m. M-Type cable tray: Portable mini cable tray, stainless steel frame, compact shape, can be used with the diameter of the push rod cable 10mm, the standard cable length of 30m.